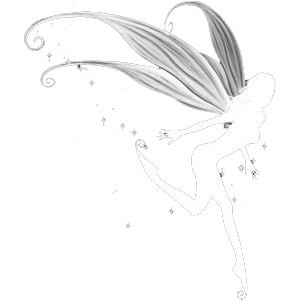 "I write books, draw pictures, and often get confused for a fairy." E. C. Hibbs is the author of several novels, including the Tragic Silence series and MIPA Nominated YA fantasy Blindsighted Wanderer, and co-author of the award-winning charity anthology Dare to Shine. She also hosts a YouTube channel based around writing, folklore and the creative world. As an artist, she works in a variety of mediums including graphite, acrylic paint, papercutting, and digital photomanipulation. She holds a BSc (Hons) in Animal Behaviour and a Postgraduate Diploma in Wildlife Conservation from the University of Chester. Besides writing, she reads obsessively, her favourite genres being the classics and all kinds of fantasy. She enjoys Disney and horror films, practising Shotokan karate, archery, hiking up mountains, and playing with her very cheeky cat Millie-Moo. ​She lives in Cheshire, North-West England, where she co-owns the family business Earthkin. My great-great-great-uncle was a crew member of RMS Titanic. I can sing Let it Go in Greek. I have mycophobia: a fear of mushrooms and fungi. I won't touch them unless I'm wearing gloves! I know how to drive a husky sled. I collect antiquarian books. Most of them date from the mid-1800s, but my oldest is from 1764. I've worked with over 80 species of animals, including black rhino. I have photophobia and PLE, meaning I'm basically allergic to sunlight! As well as digital art, painting, drawing, and papercutting, I also practise mehndi (henna), pyrography, and embroidery. I have two tattoos: a sunflower on my right wrist, in memory of my best friend; and an angel wing on my left wrist, shared with my mother. I am a Nidan (2nd Dan black belt) in Shotokan karate. My rings are very symbolic of events and places in my life, hence why I always wear them.